Most Private Label E-Commerce sellers know that the days of just picking up a product from China and putting your brand name on it are fast coming to an end, unless you have “exclusive access” to a market. It is more important than ever before, to create real value by creating new products or making products better by adding or improving on features. Combine that with the availability of crowdfunding platforms like Kickstarter & Indiegogo and new products make even more sense. If you are looking to develop new products from scratch, our New Product Development (NPD) service could be perfect for you. With our new product development service, we help you manage the entire process from an “idea” to a real physical product. 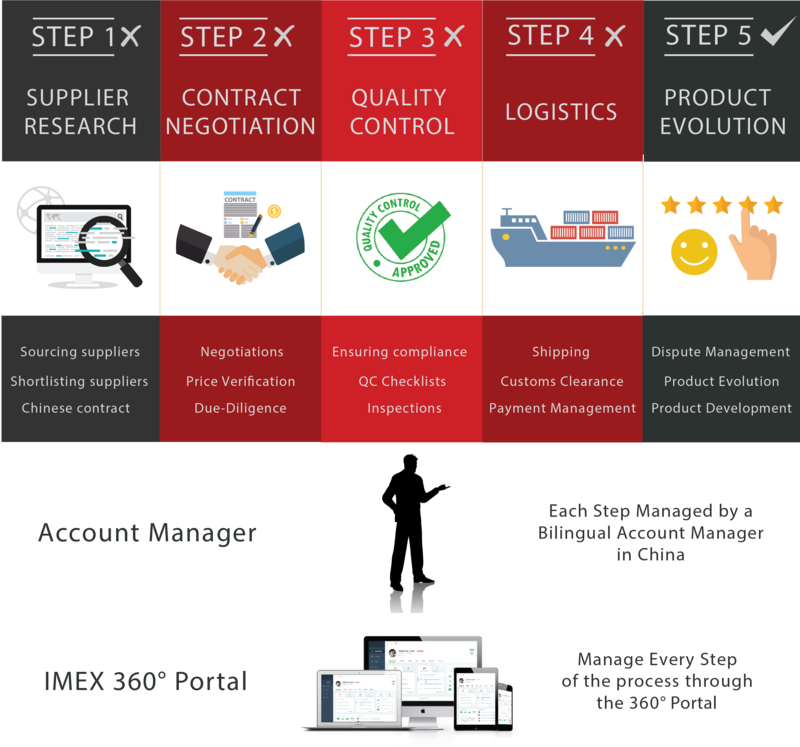 *The services mentioned above are part of the 360° Sourcing Process, not of the China New Product Development Service. Winning Supplier Support: With New Product Development projects the biggest challenge is winning supplier support. Factories normally do not like these projects as it breaks their “Mass Production” business model and requires them to make a lot of effort initially with no guarantees of large orders or the product being successful. Lost in Translation: NPD projects require a lot of communication with factories, trying to explain your designs, your moulds, your needs, and the message often gets lost in translation and this results to a lot of frustration for all parties lost. A factory sales person speaking enough English to take on an order and understanding complex product requirements can be very different. Client Involvement: New Product Development requires a lot of creative input both from our team and you. and a lot of patience too, therefore its important the client is dedicated to making the product a reality and has a realistic understanding of the NPD timelines. Whilst many other companies can help you design or prototype a product, not many have the experience we do, in taking the product from a CAD design to a final product. We have done this time and time again and have established strategies, processes & the people to deal with the challenges mentioned above. We’ve worked with many clients who wanted to do a crowdfunding campaign. Whether it be Kickstarter or Indiegogo, we can make turn your idea into a finished product. Our experienced Account Managers will work on garnering supplier support, work out landed costs, deal with the molds and tooling and pretty much everything else required to make your product a reality. When working with us, vertical integration happens quickly and swiftly, so there is no delay getting your product from idea to market. This is because, we can take the product from a design to a production sample and then via our 360° Sourcing Service ensure it lands at your warehouse without any hiccups. For more details about our China New Product Development service, please contact us. A brief introduction to your project would enable to reply to you with the relevant information. Ready to build an innovative product?